L-Arginine is an Amino acid, obtained from the diet and is necessary for the body to make proteins. L-Arginine plays an essential role in protein synthesis, the production of creatine phosphate, needed to produce ATP, and the synthesis of nitric oxide. Nitric oxide leads blood vessels to open wider for improved blood flow. Being the precursor of Nitric Oxide, L-Arginine is also important precursor of Creatine. Arginine supplementation is a very common among bodybuilders, athletes. L-Arginine is a vital for bodybuilders looking for pumped up muscles. It works well as a part of your pre-workout supplement stack. Taking high dose capsules is the easiest and convenient way to fulfill the increased demand of Arginine. Take 1 capsule daily, preferably 30 minutes prior to training. Additionally, you can take one more serving upon waking up. Q.1 What are Nitric Oxide boosters? Nitric oxide boosters are the group of supplements that boost nitric oxide production in the body. They increase blood flow which enhances oxygen and nutrient delivery. This gives rise to pronounced endurance, increased muscle synthesis and enhanced pump. Q.2 What is Nitric Oxide? Nitric Oxide (NO) is a gas that's naturally produced in the body from the amino acid arginine. As we cannot supplement directly with a gas & ash; nitric oxide, a nitric oxide supplement will contain arginine. Q.3 What are the benefits of a nitric oxide product? In body, nutrients are supplied to the cells via blood. Circulation of blood depends on physiologically well dilated blood vessels. Nitric oxide is the gas synthesized in the body that keeps blood vessels well dilated. Arginine is a non-essential amino acid that is synthesized in the body which is responsible for nitric oxide production. Sports nutrition takes on the responsibility of optimized blood circulation by suggesting exogenous oral intake of Arginine, as adding Arginine supplementation will increase nitric oxide production. This enhanced circulation ensures optimum nutrient delivery and optimal oxygen delivery leading to better lactate clearance. Arginine is also known to be one of the co-factors for production of GH and hence it has been suggested that supplementation of Arginine may lead to enhanced GH production in body. Q.4 Can Caffeine be taken with Scitec Nutrition Mega Arginine? Caffeine has shown to work well with Nitric oxide boosters. 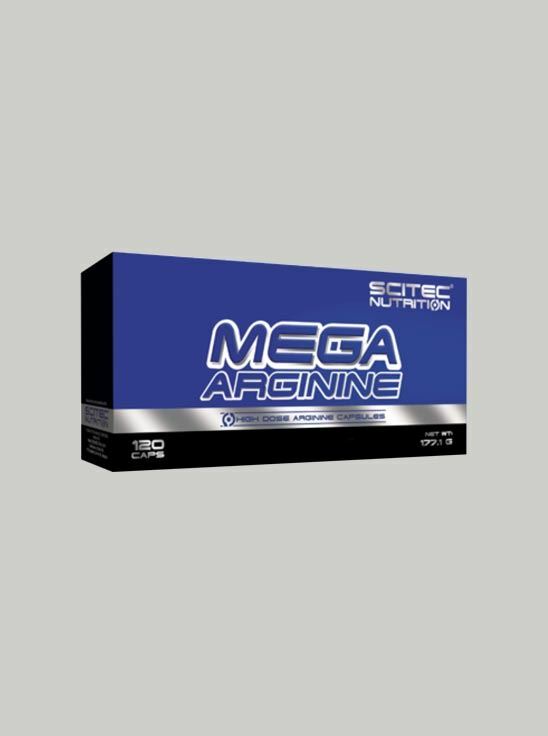 Q.5 Can creatine be taken with Scitec Nutrition Mega Arginine? There is no research stating any adverse effects of creatine + NO boosters. 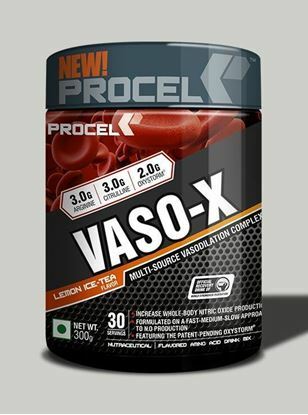 Instead, Creatine absorption is better with nitric oxide due to its property of vasodilation. Q.6 Is Scitec Nutrition Mega Arginine Stimulant free?